Known as one third of the notorious WetYourself crew, throwing parties and DJing every Sunday night at Fabric in London, Jacob has been releasing music since 2005 on different labels and under various guises. As a DJ he is known for his fast mixing style of stripped down house and bouncy techno, which has made him a favorite in London and on the International underground dance scene, playing gigs all over Europe and The World on a regular basis. Do What You Want by Jacob Husley is an upbeat rolling feel good record that has become become a steady ingredient of the Sunday night WYS! mix. Featuring vocals from Husley himself, the track is timeless and positive. The rather huge, driving bass line perhaps shows what an effect his 8 years living in London has had on him and also maybe his not-so-secret past as a Junglist? All-round Danish House legend, Mathias Mesteno, has created a late night deep builder that drives and drives..the result is detailed and tough! Keeping Jacob's big bassline, he has created his own feeling around the groove with plenty of atmospheric percussion. Barcelona man-of-the-moment Garnica from Galaktika Recs, has created a fantastic peak time groovy dub edit that will have people losing themselves on the dancefloor. 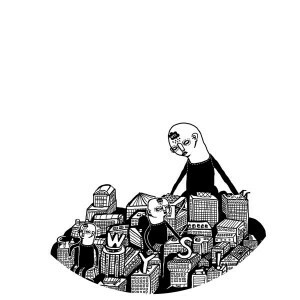 Watch out for more releases from WYS! coming soon, next up is Cormac's "Cold" remixed by Miss Kittin and Chris Liebing!